China appears to be on the brink of selecting female taikonaut for the up-coming Shenzhou 9 mission, likely to launch in early June. Following the success of last year’s Shenzhou-8 and Tiangong-1 unmanned docking, 2012 is expected to mark another first, with a crewed Shenzhou-9 set to launch and dock with Tiangong 1. Processing for the mission has been proceeding well, with the Shenzhou-9 spacecraft already integrated with its Long March 2-F launch vehicle. No fixed launch date has set at this time, although the mission is expected to occur sometime in early June. During comments to Chinese publication People’s Daily, Niu Hongguang – deputy commander-in-chief of the country’s manned space – acknowledged female taikonauts had made the cut in initial crew selection process. “Authorities have completed the initial selection of crew members for China’s first crewed space docking mission, and the team includes our female astronauts,” Niu Hongguang noted. Previous reports from China over the past two years had confirmed the selection of a second batch of Chinese taikonauts, comprising five men and two women in 2010. 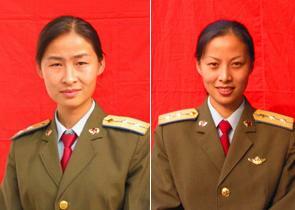 Although the Chinese do not officially reveal the names of their would-be space travellers until just before each flight, Western observers, and more recently Chinese ‘netizens’, have already identified the two female taikonauts as People’s Liberation Army Air Force pilots, Major Liu Yang and Captain Wang Yaping. It is undoubtedly this duo who are competing for the coveted seat aboard Shenzhou, and a place in Chinese history. Chinese officials had already said that a training group of seven men – all from the original 1998 taikonaut team – and the two women had been pre-selected for the Shenzhou 9, and subsequent Shenzhou 10 missions. Western observers believe that they are almost certainly formed into three potential space crews, two mixed, and one all-male. If previous Chinese crewing patterns are followed, the three crews will be trained and prepared in parallel, with the best overall team assigned to the actual mission. Comments at the end of last week in the Chinese media quoted Qi Faren, the former Chief Designer of the Shenzhou spacecraft, hinted that there is a wish to carry out this historic selection of a female astronaut, if they pass their tests – noting: “If the two female astronauts perform satisfactorily in the final flight readiness tests, then their selection will be given priority. 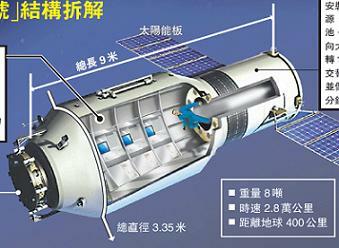 Chinese media statements on the manned space programme are notoriously guarded and often ambiguous, so the comments of Niu and Qi, taken together, suggest that China has already decided to include a woman in the Shenzhou 9 crew, but is avoiding saying so directly, to avoid losing face, should something go awry in the next few weeks. Other details of the flight plan for Shenzhou 9 have already been revealed including a 10 day stay at Tiangong 1, within a total mission duration of 13 days. This will more than double the current Chinese duration record set on Shenzhou 6, in 2005. The Chinese have also revealed that a crew member will remain inside Shenzhou 9 at all times, while it is docked with Tiangong 1. This is to deal with any unplanned emergencies or events. It is not clear from Chinese statements if this will be the same crew member at all times. The apparent decision to include a woman in the Shenzhou 9 crew has surprised western observers, who were aware of previous Chinese suggestions that the women would not be considered before the Shenzhou 10 flight, which has now slipped into 2013. Whilst Liu and Wang will have been carefully chosen from the small pool of eligible female pilots, they have only been training for spaceflight for two years, compared to their male colleagues fourteen years of preparation. Their 1200+ hours of aviation experience has been gained co-piloting turboprop transports, on routine cargo flights. Both are in their early thirties, much younger than the men, and both are married to fellow Air Force officers. Assuming that there has not been political pressure to send a woman into orbit, the inclusion of the inexperienced Liu or Wang in the Shenzhou 9 crews seems to reflect a high level of confidence from the normally cautious Chinese mission planners, in both their crew selection processes and their space hardware. As they watched television coverage of the last Chinese manned spaceflight, Shenzhou 7, in September 2008, neither Major Liu or Captain Wang could have dreamt that they would be contesting a seat on the very next manned launch, with the immortal title of ‘first Chinese woman in space’, at stake.